The narrow corridor of railway land that will become available once the train station shifts from Tanjong Pagar to Woodlands seems almost too good to be true, and discussion about how to use the land is heating up. On the one hand, developers are salivating over potential parcels of land for development all across the island. 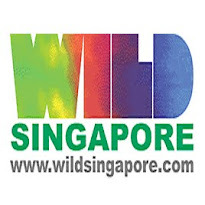 On the other, the Nature Society Singapore (NSS) has proposed turning the land into a green corridor, with its president Shawn Lum saying that "connecting green strips along the railway land" would have tremendous environmental benefits. What both NSS and the developers may have missed, however, is the economic benefits that Singapore could gain from keeping the corridor as an urban greenway and turning Singapore into an even more attractive destination for top talent. The real question, then, may be whether Singapore can afford not to keep that corridor intact. As Singapore competes for top global talent to boost economic growth, it needs to do all it can to show that the city is vibrant and liveable. Liveability means more than just luxurious condos and fancy malls. For people at the peak of their professions with their pick of cities, it can be the little extras that really matter. And a green corridor more than 15km long is far more than something little. Experiences in other big cities offer examples of the difference a long corridor of land like that can make. In 2008, London Mayor Ken Livingston announced, for example, that the city plans to build about a dozen Cycling Corridors that commuters can use to get into central London. Mr Livingston boasted to the C40 group of cities committed to tackling climate change that "we will build upon London's leading position as the only major world city to have achieved a switch from private car use to public transport, cycling and walking". In Spain, Valencia converted a dry riverbed into the city's largest park, the Jardines del Turia. The 10-km ribbon of land has been turned into a stretch of cycle paths, orange trees, fountains and playgrounds that is "incredibly popular with the residents", according to British newspaper The Independent. In the middle of Seoul, city officials have turned a former expressway into the 6-km Cheonggyecheon greenway that is highly popular with city residents. As the New York Times said in a report about the project, cities around the world are building green corridors like Cheonggyecheon as they seek to "attract affluent and educated workers and residents who appreciate the feel of a natural environment in an urban setting". Analysis by Indiana University professor Greg Lindsey showed that urban greenways can bring direct financial benefits, too. More than just making the areas nearby more liveable, hedonic price analysis showed that property prices can be up to 11 per cent higher within about half a kilometre of an urban greenway. Other researchers have found there are additional financial benefits, such as more sales at shops near greenways and better health for people who walk or cycle on them. Example after example like these shows just how many cities around the world are building and benefitting from urban greenways as they seek to transform themselves into more liveable places and to attract or retain top talent. Here, the Southern Ridges provides a tantalising glimpse of the benefits an urban greenway can bring. The URA recently won the Urban Land Institute Global Award for Excellence for the project, only 9km long. The far-longer stretch of railway land, which goes through some of the more densely populated parts of Singapore and ends up next to the CBD, could have even more advantages. And for even longer-range planning, it would end right next to the new Tanjong Pagar waterfront city that the Economic Strategies Committee proposed in February. While keeping that green corridor unspoiled may have environmental benefits as well, turning it into an urban greenway could actually prove to be a key competitive advantage that helps attract or retain top talent and brings more economic development to Singapore. It could well bring other financial benefits, too, including increased property value for nearby residents. Now, those are benefits that could be truly transformational. The writer is a consultant who has lived in Singapore since 1992.